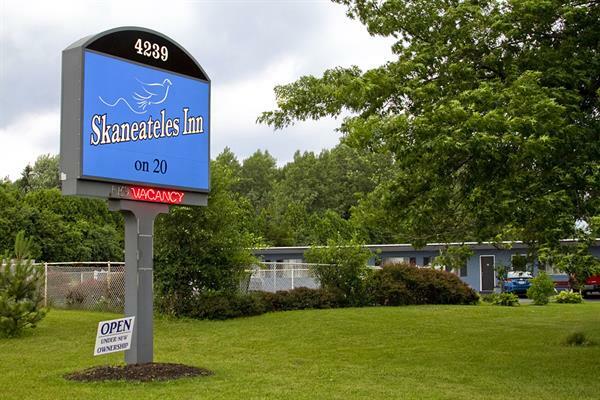 Conveniently located on Genesee Street (US Route 20) 1 mile to the west of Skaneateles Village Center, and only 4 miles from the City of Auburn. 25 minutes from the City of Syracuse. Open all year. Office open daily from 8 am - 7 pm . Off season, call for office hours. 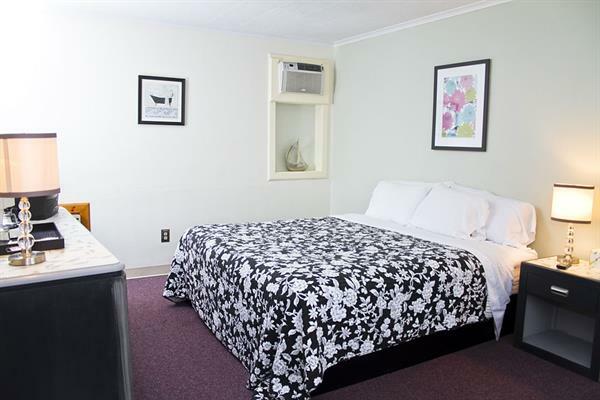 Locally owned Inn featuring a microwave, refrigerator, cable TV, air conditioning, and coffee maker in every room. 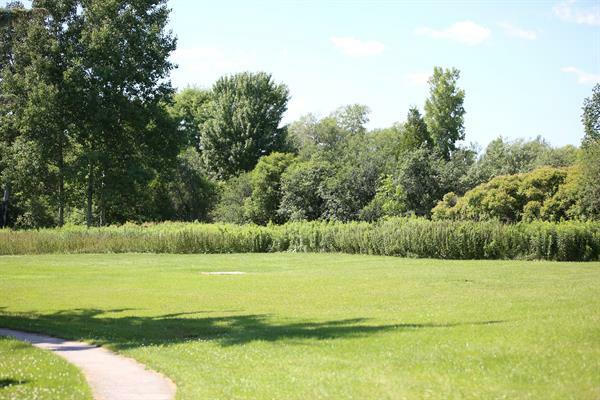 Lots of parking for your vehicle and trailers, direct access to snowmobile trails, outdoor pool, picnic area, and only 2.5 miles to public boat launch on Skaneateles Lakes. Extended stay rates available. 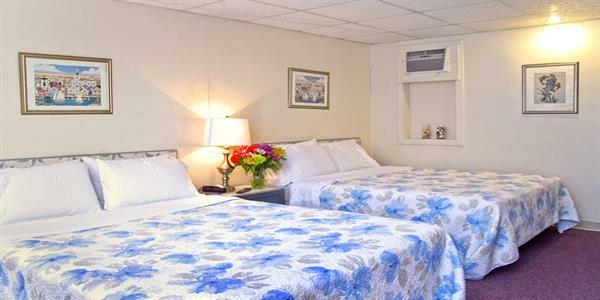 Extremely clean and comfortable rooms. Classic look. If you are looking for a cost effective way to see the beautiful Skaneateles and Finger Lakes area, this is the place for you! Owner, Susan Dove is the former Director of the Skaneateles Chamber of Commerce. Sue can help you plan your trip with all there is to see and do in the area. Family friendly with lots of room for the kids to play in the back yard. 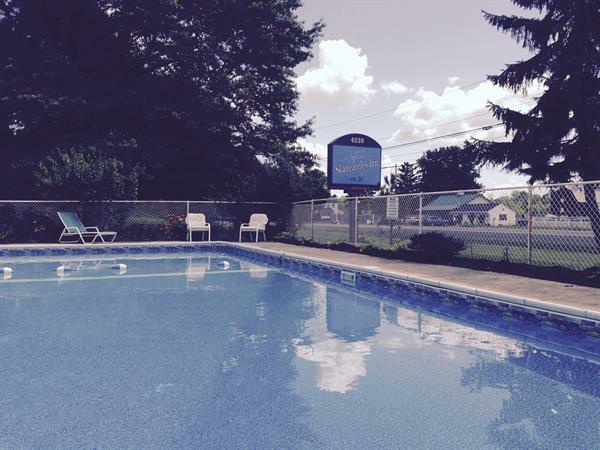 Outdoor pool is open from Memorial Day to Labor Day and into September if the weather permits. Two, one bedroom apartments are also available on this property. One is fully furnished, the other is unfurnished, but can be furnished if requested. 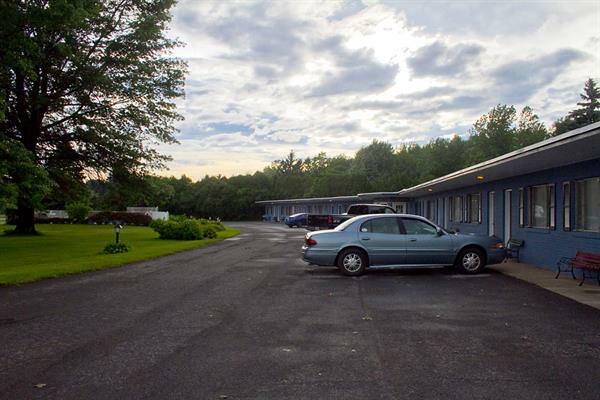 A great place for someone looking for a quiet, comfortable apartment close to Skaneateles and Auburn. Call for rates.